"I have finally put together my XN85 Turbo. 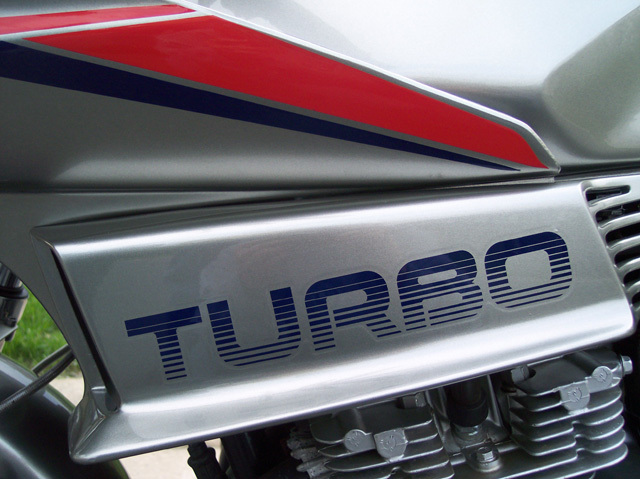 It is not 100%, but it is good enough to add pictures to the Turbo People section of TMIOA. 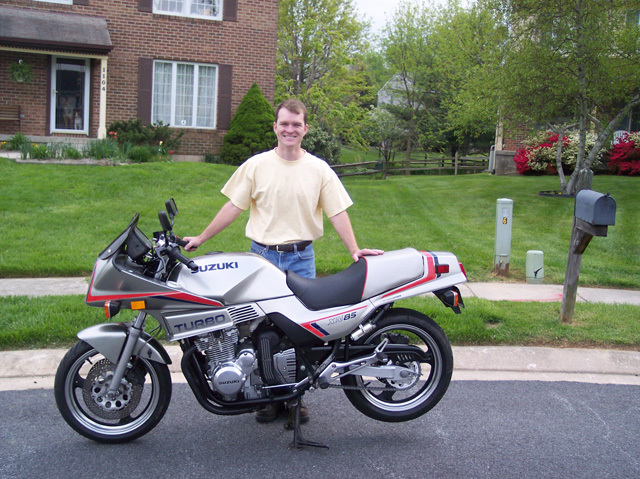 Here's a little blurb about my bike. The front end is a 600 Katana (1989-1997 model) running a Metzeler 120/60/17 M1 Sportec, Galfer steel braided brake lines (two piece race style). 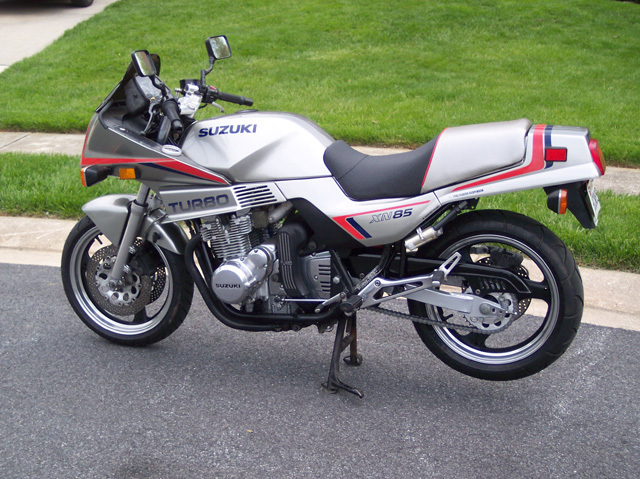 The bike has an Auto-Meter liquid filled boost gauge to read boost up to 35 psi. The windshield was made by Gustafsson in dark tint out of Florida. 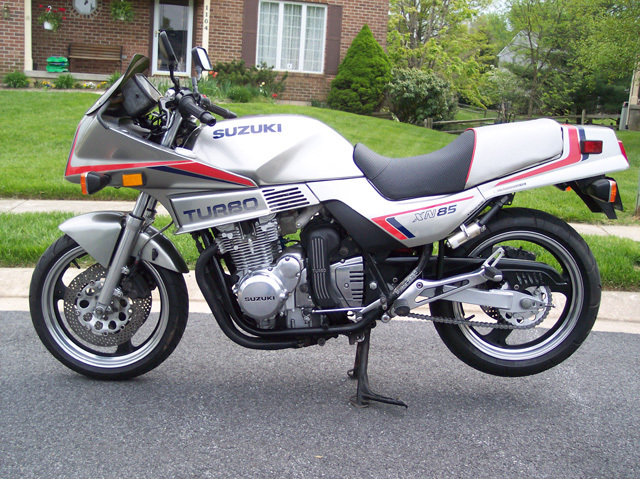 The rear end is a stock swing arm that has been modified to support a CBR F3 shock (1997) and a 600 Katana (1989-1997 model) rear rim conversion. The bike sports custom machine work (done by B&R Grinding) in aluminum to extend the cush drive (.75”) and custom brake arm to wrap (stepped 1”) around the rear Metzeler 150/60/17 M1 Sportec running a 18/37 Sprocket Specialist sprocket setup. The bike was painted by TMIOA member Brett Black out of Tennessee and is dressed with a Sargent covered stock seat. 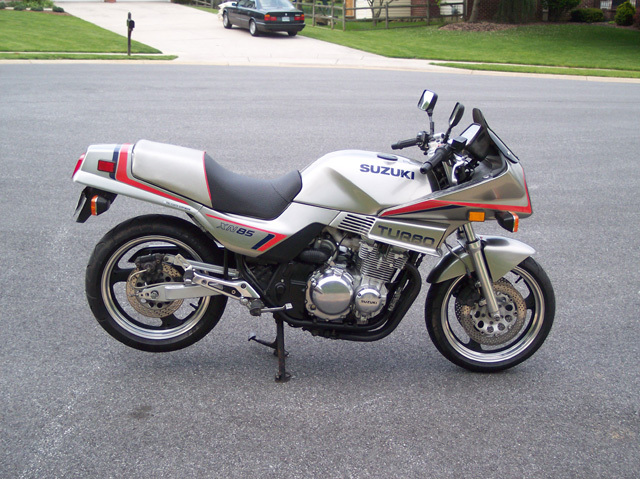 The graphics were reconstructed by myself, “Suzuki XN85 Unofficial Website” forum member Alexandre from France, and printed by AFE Graphics in Canada. One of the last things I need to install on this bike is the GSM Engine case guards I snagged off eBay (new - still in the package) and cover all the inserts and gauge cover in carbon fiber. I am also going to have made a stainless steel exhaust by Swift Racing Technologies in Maryland or EPCO Stainless out of Ohio."